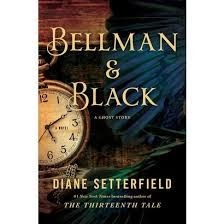 I've finished reading Bellman and Black by Diane Setterfield, and bought a hardcover copy for a second read. That means I have an advanced reader copy available if anyone would like it. I'll pay postage. please give my book a home! Oh, thank you! I appreciate you taking it! I'll send an email tomorrow. Thanks again!